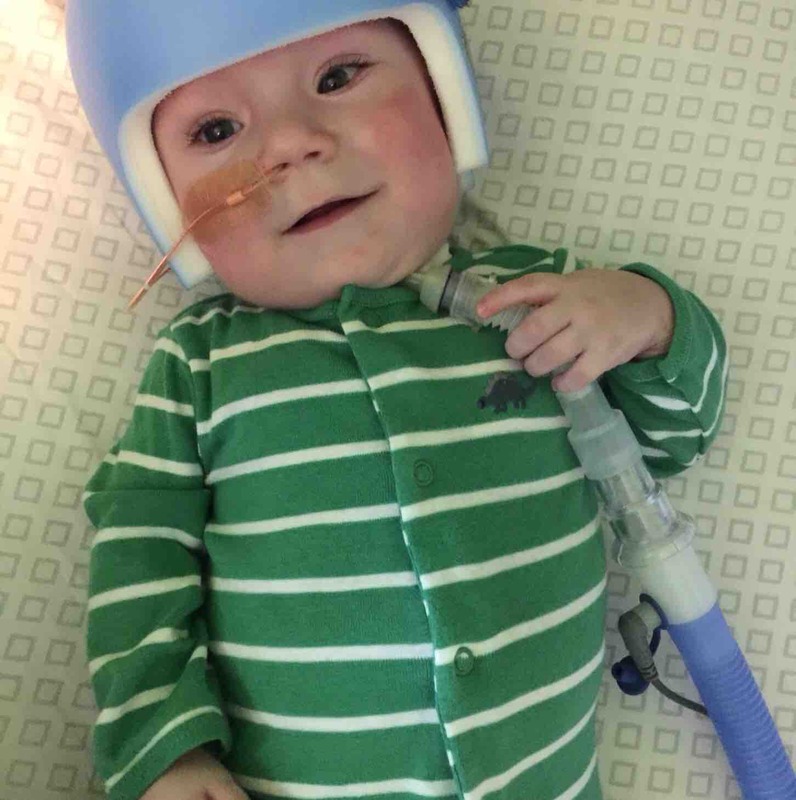 Little Sylar was born on July 24 , 6 weeks early with a congenital diaphragmatic hernia. This condition is characterized by a hole in the diaphragm which allows organs from the lower abdomen to migrate into the chest cavity. This condition restricts organ growth along with other complications. Sylar has been hospitalized since birth at Pittsburgh Children's Hospital. His condition changes from one moment to the next. It is unlikely that his family will be able to return home until spring. Due to the extended stay, the costs of his care continue to climb. We are asking you to consider a donation to help with medical costs and family support during this stressful time. Sylar's mother had to quit her job recently after using all of her vacation and medical leave to be able to stay at his side in the hospital . They are truly awesome parents and are under a great deal of stress right now. Any support is very much appreciated..
Sylar is now home from the hospital and is doing well . He is a very courageous, strong little guy. He is getting stronger and is growing fast like little boys often do. He still requires assistance with his breathing . His lungs are still not strong enough to support him. He has visiting nurses who assist his parents with his daily care. Thank you to everyone for your thoughts, prayers and help. Your donations have meant so much to all of us. Sylar's journey is not yet over but he is on his way. His has a beautiful smile which he shares with everyone who visits him and his family. Please consider a donation to help with supplies and Sylar's care at home. I can't believe that Sylar is now 7 months old ! He is still in the intensive care unit at the children's hospital. He is improving but still has a long way to go. He has had his repair surgery for his hernia and is recovering nicely. He has had a lot of ups and downs along the way. He now has to learn how to eat. Since he has lost the natural swallow reflex it will be difficult for him to relearn. I am confidant that he will learn. Our little Sylar is a fighter. His parents continue to spend all of their time with him at the hospital with the exception of his father commuting every weekend between work and the hospital. It goes without saying that after seven months in constant care at the hospital they are sitting on a mountain of medical bills. Also they are looking to the future when Sylar will eventually go home. He will need specialized care and equipment which will be costly. And they will need to make plans for powering up the equipment in the event of a power failure. All of the things we take for granted will need to be considered before little Sylar can come home in order to be safely cared for. Thank you all for your donations and thoughts and prayers. Keep praying that Sylar will continue to improve. We all look forward to having him home and can't wait for that day. Hopefully someday in the near future although no timeframe has been suggested by his care team. Love you guys! Praying everyday! So glad he is a happy boy and is making progress. I want to come to his birthday party but I'm not sure we can work that out. I sure want to see him, though! Love and prayers continue. So glad Sylar is able to be home. We still pray for him and his mom and dad. I hope we get to see him this summer. I would love a picture. Blessings. Sylar, you are very much loved and wanted. So many have prayed for you and rejoice in your healing. We still remember you and your wonderful parents in our prayers.